The 2018 Stanley Cup Final is a matchup for the record books. 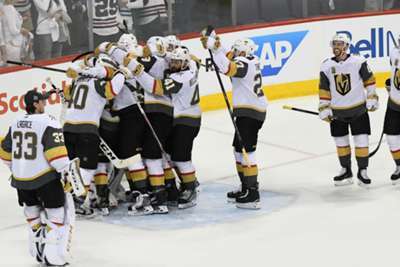 Washington won the Eastern Conference with victory over the Tampa Bay Lightning in Game 7 to earn a showdown with Las Vegas, with the Golden Knights having eliminated the Winnipeg Jets in four games and closed out the Western Conference. For the first time since 2007, both teams will be fighting for their first championship. The Capitals will make a run at bringing Lord Stanley home after being swept by the Red Wings in their lone Final appearance in 1998, while the Golden Knights will look to make history as the first NHL expansion team to win the title in their inaugural season. McPhee had previously served as Capitals general manager from 1997 to 2014, winning seven division titles and finishing with 40 wins or more in eight seasons while making 10 postseason appearances. He is also responsible for drafting franchise cornerstones Alex Ovechkin, Nicklas Backstrom and Braden Holtby. Now the first GM for the Golden Knights, McPhee was immediately successful in picking up Marc-Andre Fleury after he was left unprotected by the Pittsburgh Penguins following the emergence of Matt Murray. McPhee is additionally credited with making a number of pre-arranged deals in the expansion draft that helped Las Vegas and allowed him to create a championship-challenging team in a hurry. Fleury and Holtby share a history that dates back to 2010 when the latter made his debut with the Capitals, further igniting a long-standing rivalry with Fleury and the Penguins. Despite the boiling bad blood between Washington and Pittsburgh, last year was the only postseason in which Fleury and Holtby went head-to-head. In his first season in Las Vegas, Fleury went 29-13 with a 2.24 goals-against average and .927 save percentage during the regular season, while he also dealt with a head injury. The top pick in the 2003 draft and a three-time Stanley Cup champion, Fleury leads the league with a 1.68 goals-against average and .947 save percentage in the playoffs. Holtby, the 2016 Vezina Trophy winner as the NHL's top goaltender, served as the backup for the first two games of the postseason before working his way into the starting role. He put on the worst statistical performance of his career during the regular season, as his .907 save percentage was the lowest in his eight years in the league. However, he is 12-6 with a 2.04 goals-against average and .924 save percentage in the playoffs. 3. Can Alex Ovechkin laminate his legacy? For the first time in his NHL career, Ovechkin made it out of the second round of the playoffs. However, can he finish what he started by winning the one trophy missing from his impressive collection? Since making his NHL debut in 2005, Ovechkin has scored 607 goals and logged 1,122 points in 1,003 career games. However, the 32-year-old's decorated NHL stint is overshadowed by his inability to capitalise in big-game scenarios. 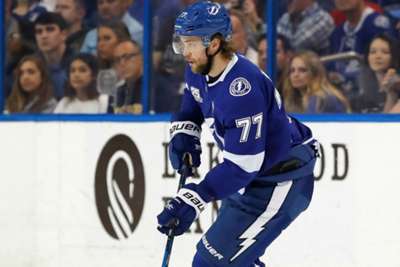 He played in the 11th Game 7 of his playoff career last week, but appears ready to shake off the stigma attached with previous failures, especially after defying superstition and touching the Prince of Wales Trophy after the triumph over the Lightning.